There are four regions in Latvia – Kurzeme, Zemgale, Vidzeme and Latgale. And Kurzeme has always been my favourite. Perhaps it’s because my parents and grandparents come from the area. Or maybe it’s because I’ve always been drawn to the waves, and Kurzeme is washed by the Baltic Sea. 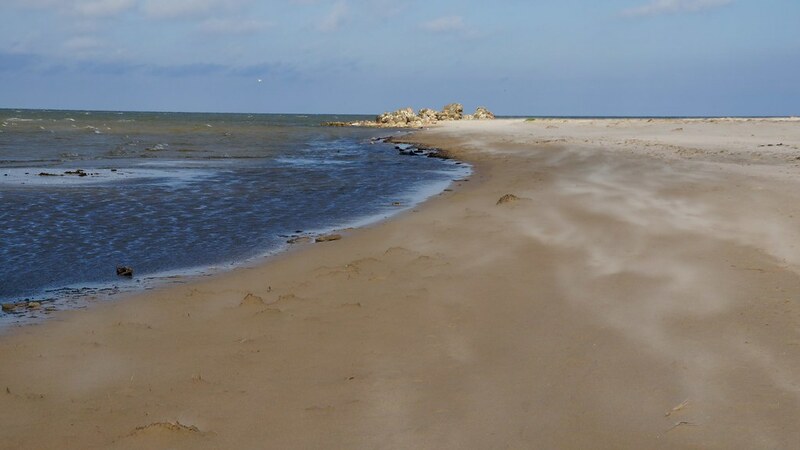 Latvia has a 500 kilometers long coast line of white sand beach along the Baltic Sea. One can find especially nice beaches – as well as adventure and history – in Liepaja and Ventspils. Then there’s Jurkalne, with its pretty seashore bluffs and quiet white sand beach. In between, you’ll find numerous old fishing villages selling fish smoked according to age-old traditions. And in the middle of Kurzeme you’ll find Kuldīga and its charming narrow streets and red tile roofs – surely the most romantic city in Latvia. Keep reading to find out the highlights of Kurzeme. A port city with white sandy Blue Flag beach. During summer here you will find cafes, volleyball and football fields, as well as playgrounds for kids and a surfer’s beach with all the necessary facilities. Ventspils is also home to Livonian Order Castle, which is one of the oldest medieval fortresses in Latvia. If you want to get a feeling for life in a historical fishing village, visit Seaside Open Air Museum. Then you’ll find fishermen’s homesteads, barns, windmills, boats and traditional household items. 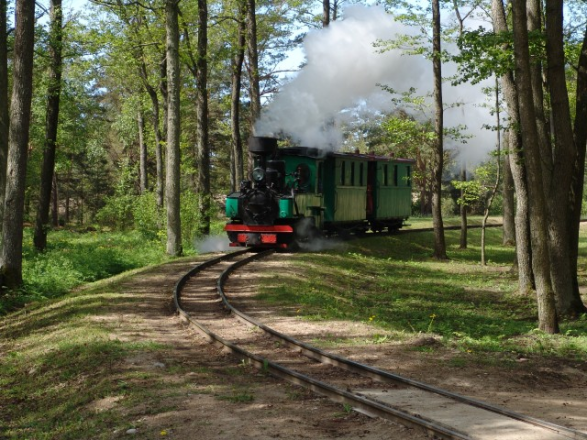 But probably the most beloved feature of the museum is the small, narrow gauge steam train ‘Mazbānītis’. Take a leisurely stroll through neat Ventspils and you will see many parks, gardens, fountains, and… cows. Cows?! Yes, you read it correctly. If you look hard enough, you will find 17 full-size fiberglass cows that were a part of two very successful charity auctions called Cow Parade 2002 and Cow Parade 2012. 26 such cows were turned into artistic pieces in 2002 and 24 in 2012. If you feel like tracking all of them down, you can find the walking map here. (My favourite is Sailor Cow!) The city also boasts a ‘children’s town’ and numerous others adventure parks in it – perfect for those visiting with families. Lastly, my top tip for dining is Jūras Brīze, with its tasty Latvian food! The third biggest city in Latvia and another port city. Because there was a famous Latvian song devoted to Liepaja with lyrics ‘City where the wind is born,’ this is how Latvians still describe the Liepāja. But it also is a city that is home to many talented Latvian musicians and singers, so sometimes it is referred to as the Rock’n’Roll city. It even has its own hall (well, alley!) of fame for famous musicians. Liepaja also preserves a military heritage. Karosta (direct translation port of war) is home to an old prison that is the main attraction in Liepaja. Here, the brave can voluntarily go to prison and ‘enjoy’ the harsh attention of prison guards. For some reason, this is a popular attraction not only for tourists but also for bachelor parties. 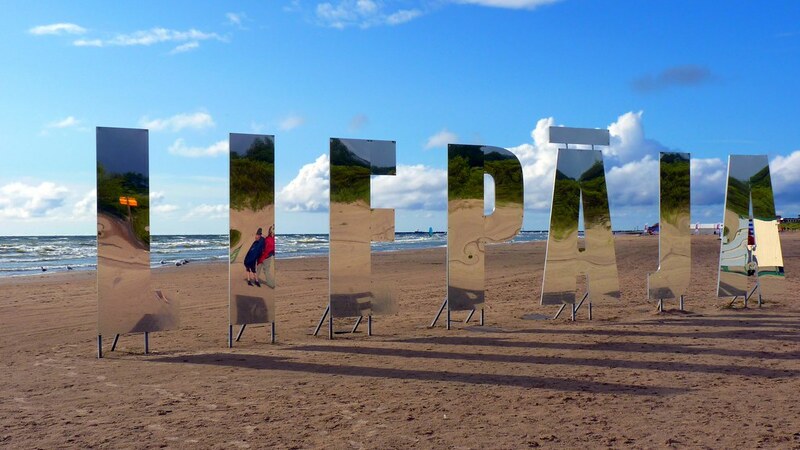 Liepaja also has an amazing Blue Flag beach and Seaside Park. During summer, Liepaja is home to music festivals, such as the Summer Sound Festival and the Fontaine Festival. If you prefer the classics, visit Great Amber Concert Hall, which hosts cultural events, such as the symphony, ballet, and jazz concerts. It is also a great modern architectural attraction. Where the Baltic Sea and Riga Gulf meet. The cape is a dangerous place for boats and ships and numerous boats have sunk there in the past, which makes the place especially attractive for divers. Legends tell that in the past, locals made huge bonfires to warn sailors from this dangerous place, but bandits moved the fires to the Zilie Kalni (Blue Hills) from time to time and the misguided ships ran ashore, where the robbers stole the cargos and killed the sailors. Indeed, there is a belief that Kolka name comes from Livian words Kuol-ka (which means then die!). Despite all this, Kolka is a popular place for windsurfing, as is Pavilosta. This very pretty landscape on a coast of Baltic Sea makes a great background for your Instagram photos. It is also an ideal place for a slow stroll on the shore, as the sea is very calm there. The most romantic town in Latvia. Kuldīga – or Goldingen, as it was known at the time – was the capital of Duchy of Courland and Semigallia between 1561-1795. This charming town preserves wooden buildings and urban planning elements from 13th-19th century. You can enjoy a beautiful view of the waterfall from the red brick bridge over Venta River. 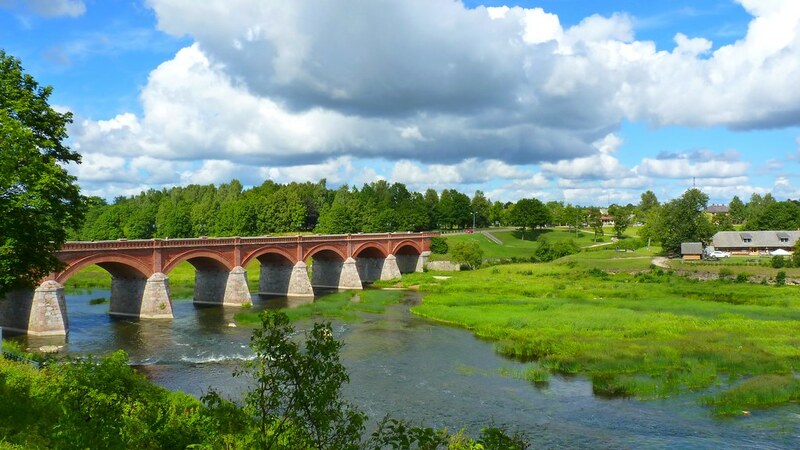 The Old Brick bridge is the longest of a kind in Europe – 165m. Ventas Rumba or Venta Waterfall is my favourite spot in the town. 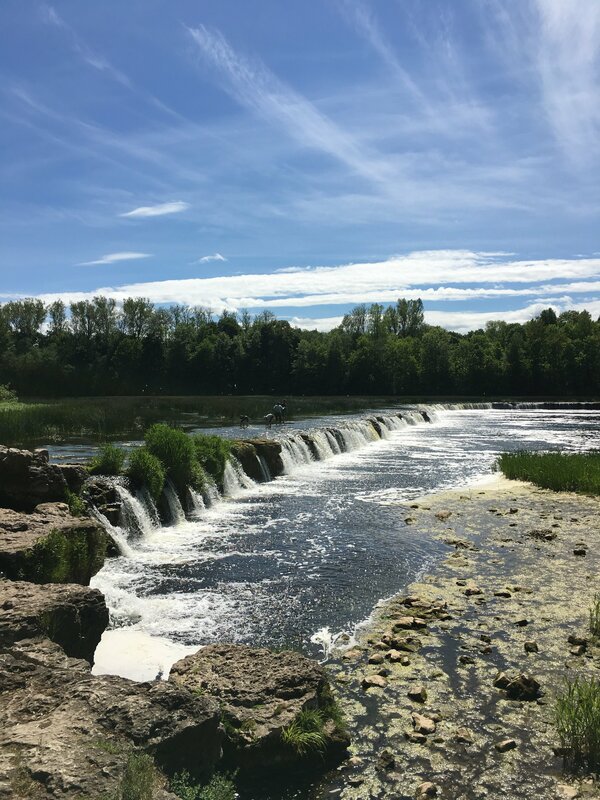 Being 240m wide, it is the widest waterfall in the Europe and in springtime attracts many tourists eager to see vimbas and salmon jumping over the waterfall. The locals call it The Flying Fish Show. 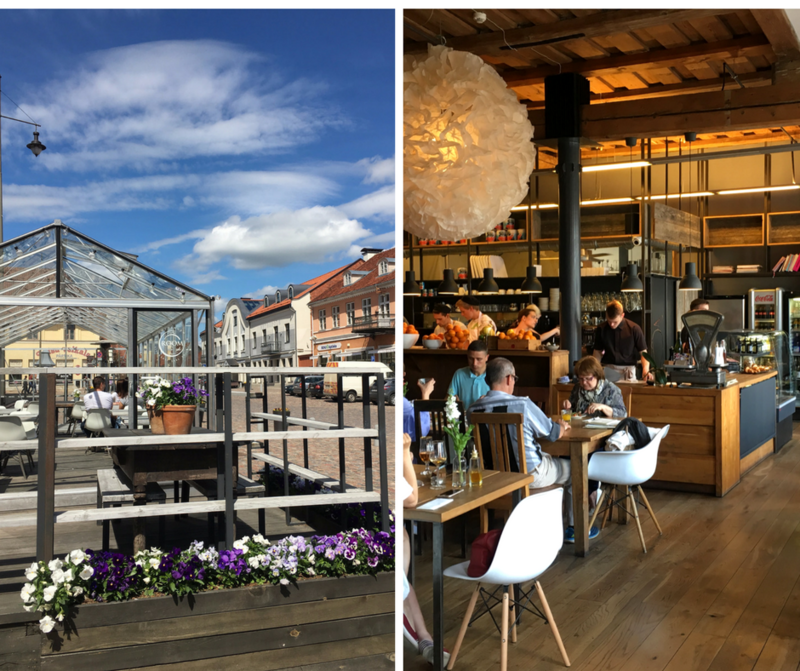 My favourite place for dining is Goldingen Room, located in the historical center of town, a few meters from City Hall and very close to the old brick bridge. But if you are in a mood for something small and sweet, visit Makkabi for tasty cupcakes and coffee. A town which is home to a pretty 17th-century manor Durbes pils (see the picture below) and its beautiful park. Only 14 km from Durbes pils you will find Jaunmoku pils (Jaunmoku castle), a great example of Neo-gothic architectural style featuring Art Nouveau elements. Venture 15 km out from Tukums and you can wander around the Cinevilla Studios backlot to witness how movies are made – or experience how Riga looked like centuries ago. One of the greatest, most divine spa rituals I have ever enjoyed in my life! 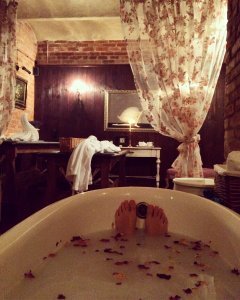 Rose and milk bath, herbal tea, long very relaxing massage for two, body scrub and spa treatment for all body… Heaven. You can also stay in one of the manor’s elegant rooms, which will make you feel like living in an old-time movie. And if you feel hungry, just pop down to the restaurant. It is the first barefoot path in the Baltic States and has become very popular among nature lovers. The 2.9 km long path and its ever-changing surfaces can be a challenge – with pebbles, boulders, millstones, moss, cones, seaboard sand, reeds, rough pine trunk, clay and even glass to navigate. That is a true sensation for your feet and body! Sabile Wine Hill is the world’s most northern open-air vineyard (as mentioned in Guinness Book of Records!) and a notable place to tick off your bucket list. And if you want to know more about how Latvian wine is produced, take a trip down to Abavas Ģimenes Vīna darītava (Abava Winery) for a wine tasting. 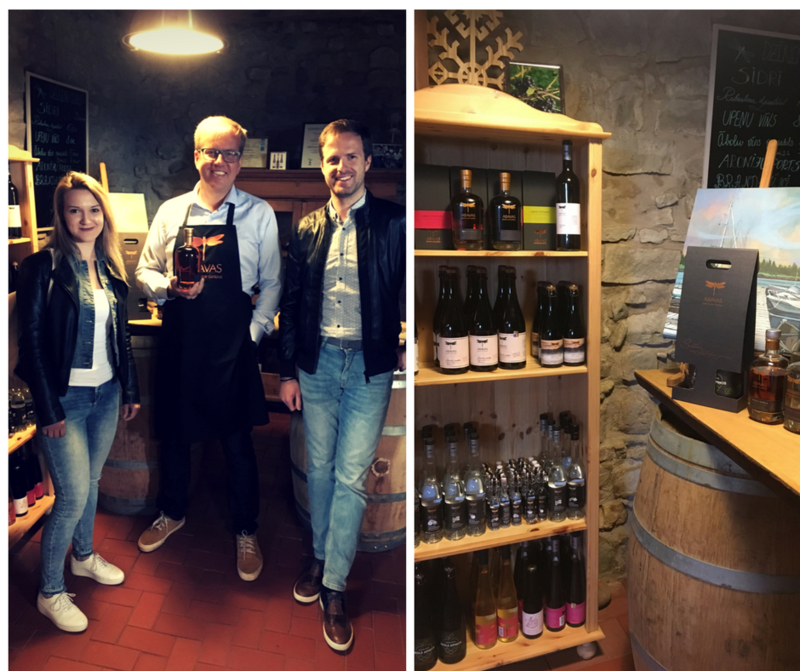 Abava Winery is run by Mārtiņš and Liene Barkāni who offer a lovely wine tasting session complemented with a very interesting two-hour history of wine production in Latvia. I thoroughly enjoyed the experience and even bought a bottle of their wine in the airport! There is a lot more to tell about Kurzeme, but let’s keep it for next articles. I hope you enjoyed reading about my favourite region of Latvia. Stay tuned to hear more about other regions.